The biggest names in global air travel have signed up for Boeing's enormous new 777X airliner. But nearly all of them are facing problems that could make it hard for them to go ahead with their purchases. The airliner, which will seat 350 to 425 passengers, is set to debut in 2020. 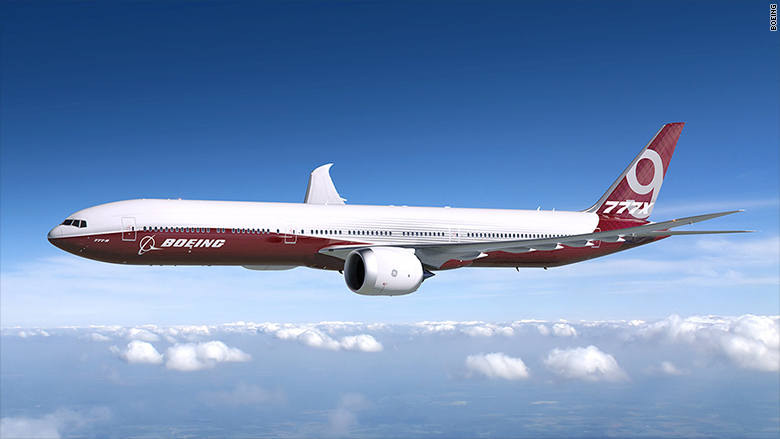 Boeing's factories are gearing up for production of the 777X later this year. Boeing (BA) calls it "the boss," and it has the largest jet engines the aerospace industry has ever developed. Seven airlines have ordered 340 of the planes. But six of those companies, which account for more than 90% of the orders, are each facing various business challenges. Qatar Airways is under a blockade by its neighbors. 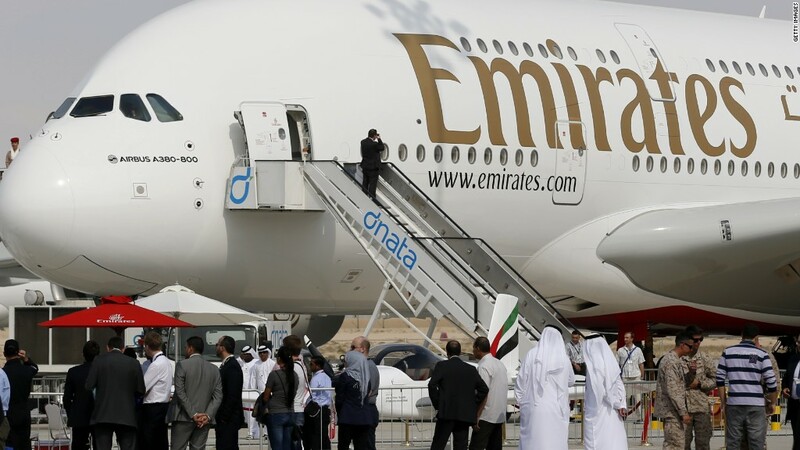 Emirates is cutting routes. Etihad Airways is rethinking its entire global strategy. Cathay Pacific Airways is laying off hundreds of workers and restructuring. Singapore Airlines had its first loss in eight years. And Lufthansa is rethinking whether it needs all the jets it has ordered, according to Bloomberg News. They're all fending off the rise of low-cost carriers that are driving down ticket prices — making their businesses tougher to navigate. And the Middle Eastern carriers in particular are dealing with a laptop ban that has hurt business. None of these airlines has changed its 777X order. But if airlines scale back or slow down their 777X orders, that would temper how quickly Boeing can generate a return on its multi-billion dollar investment. A Boeing rendering of the 777X, which is scheduled to enter service in 2020. When airlines put in their first orders in 2013, most wanted to take delivery as soon as possible. But that's no longer the case. With airlines happy to wait for the 777X, Boeing is slowing things down, too. Boeing still plans to make its first delivery in 2020, but it recently pushed back the jet's maiden flight to around February 2019, four months later than initially planned. Boeing executives say they're not worried about demand for the enormous new flagship, since the company has yet to tap the market in China. China is on track to be the largest air travel market on the planet by 2030 and has so far only bought jets for the near term. Ihssane Mounir, Boeing's new global sales chief, expects "a surge in demand" once China's central government crafts its new five-year plan, which goes into effect in 2021. Mounir also points out that the 777X is coming along just as a large crop of older, big jets flown by airlines around the world need to be retired. "When you add all that up," he said, "I'm not worried."